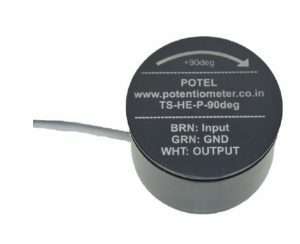 Tilt Sensor (TS-HE-P) is a tilt sensing product based on hall effect technology and Pendulum principle with a damping control. TS-HE-P is built on mechanism with high reliability and strong construction for highly rugged environment. Since the Product is based on Contactless Magnetic Technology it has very long life. The Output signal correspondence to 0 to 360deg of tilt. This full range is programmable based on requirement. Tilt sensor can be specially programmed to have 4,3 or 2 cycles in over revolution hence increasing the accuracy. For modern microcontrollers TS-HE-P is capable to give output in 0 to 3.3Vdc and to suppress the effect of Noise PWM output version is available. Non Contact Tilt Sensor based on Magnetic Technology. 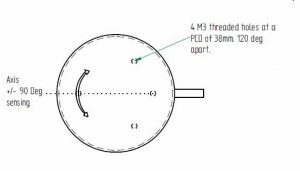 3 M3 Threaded holes at a PCD of 38mm dia at 120deg apartAlong with 1 at 60deg apart from other two M3 threaded holes. 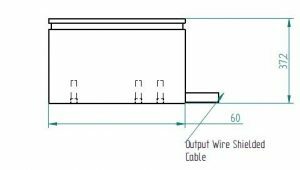 It is recommended to Ground the shielding of the Shielded cable in order to gaurd the sensor from surges or environmental noise. TS-HE-P has been calibrated to have 50% of F.S output when it is being mounted perpendicular to the gravity . 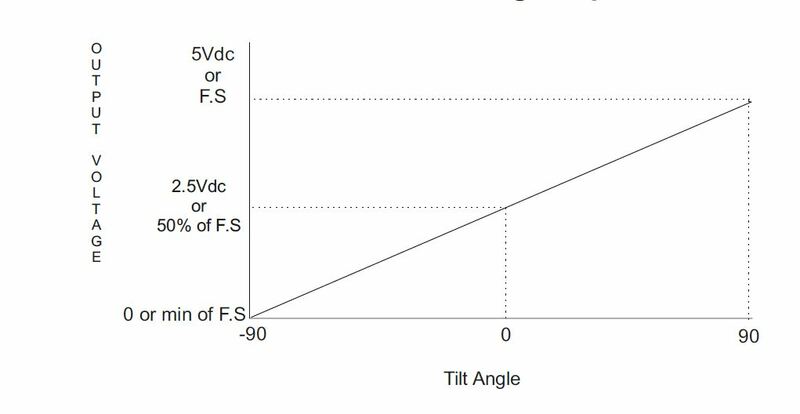 TS-HE-P gives 0% of F.S output and 50% of F.S output when the Sensor is tilted in +/- direction to the Axis of the Sensor respectively.